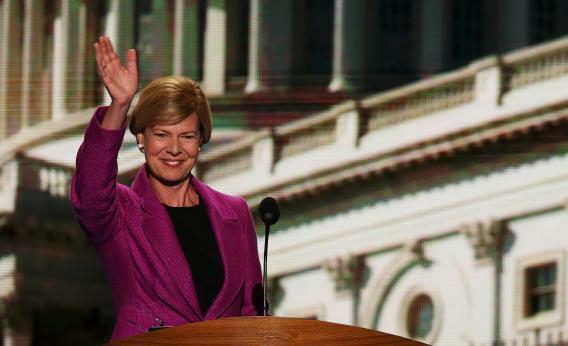 Tammy Baldwin wins in Wisconsin: Will be first openly gay Senator. Wisconsinites indulged in some grotesque anti-lobbyist prejudice today and chose seven-term openly gay congresswoman Tammy Baldwin over Tommy Thompson to replace Democrat Herb Kohl in the Senate. Baldwin had a huge fundraising advantage throughout the race, and she used the money to portray Thompson, who may have been remembered fondly by some as the state’s former governor, as the health care company consultant he has been for years. Thompson, for his part, blamed the lobbying on his wife’s spending habits. Women!